(Boston, MA) – February 4, 2019 – Boston Pride has announced the new theme for 2019 Pride season and marshals for the Pride Parade. The decisions on the theme and marshals were made through online voting by the community. This year’s theme “Looking Back…Loving Forward” represents the recognition of the 50th anniversary of the Stonewall Riots and is meant to encourage the community to reflect back on the many challenges and incredible victories of the LGBTQ+ community in that time. Boston Pride is also announcing this year’s marshals. 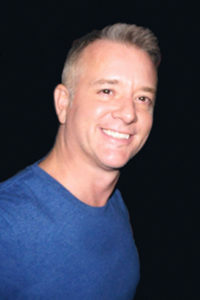 The community voted Dale Mitchell, founder of the LGBT Aging Project, as Grand Marshal; Ava Glasscott, trans model and former Miss Trans USA Pageant contestant will serve as Marshal; and Honorary Marshal is the late Chris Harris, entertainment impresario and longtime supporter of the LGBTQ community, who passed away in January. The 2019 Pride Week kicks off with the annual Flag Raising at City Hall Plaza on Friday, May 31 and continues through Tuesday, June 11. The annual Boston Pride Parade and Festival are on Saturday, June 8. Dale convened Boston’s very first LGBT Aging Summit in 2001 and the LGBT Aging Project, where he was named Chair, followed soon thereafter. 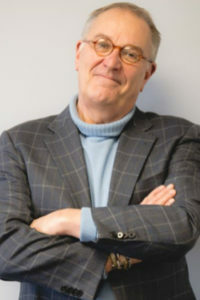 He has been a leading champion and advocate for LGBT older adults and caregivers in Massachusetts. He is CEO of Ethos, a Boston based elder service organization, and his passion is to make sure that LGBT older adults age with the dignity and respect they deserve. Dale has elevated the visibility of LGBT older adults in Boston and across the state. Because of Dale’s vision, today’s LGBT seniors – and those who follow in their footsteps — are able to thrive socially and with the necessary supports and providers that are culturally competent and LGBT inclusive. Ava represented the State of Massachusetts in the Miss Trans USA Pageant 2018. She is the first post-op transgender contestant from New England to represent her Community in a National Pageant. The story of Ava’s journey as a trans model has been featured by NBC Boston and the WCVB-TV show “Chronicle.” Ava made a cameo in Amy Schumer’s 2018 movie “I Feel Pretty,” which was filmed in Boston. She also appeared in the documentary film “All Stars: The Changing Face of Drag (2016)”, which she promoted at RuPaul’s DragCon in Los Angeles. Chris Harris passed away in January 2019 and had helped Boston Pride secure entertainment for events as well as support volunteers with free passes to his club nights for working at Pride events. When Boston Pride hosted its first international Pride conference in 2012, Chris hosted all the delegates at his venues and treated each one as a VIP. To this day, Interpride members talk fondly about the warm welcome they received in Boston.